Team USA 2017 selection camps are complete! The final 2017 team that will compete at World Ringette Championship this November will be announced in August. Check back to see which of our prospects will have the honor of representing the red, white and blue on the world stage! 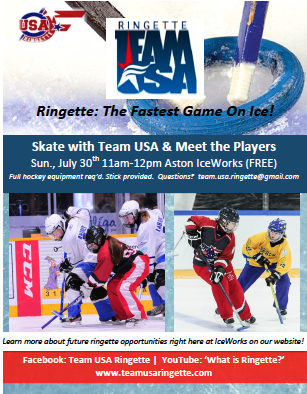 Thank you to all of our prospects for trying out for Team USA Ringette. Players came from around North America to participate in a fun tournament to help grow ringette in the USA and also, to tryout for our 2017 team. Over 45 individuals were invited to tryout for Team USA. It was an editing start to this year's team selection. 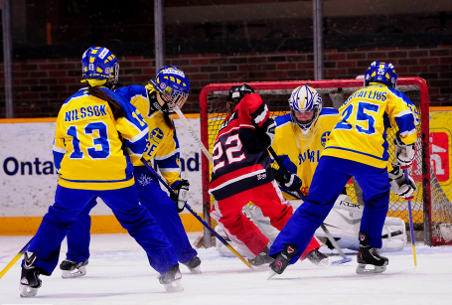 This is the first time that ringette has been played in Philadelphia, Pennsylvania. It was truly an exciting weekend filled with some incredible ringette. Prospects from across North America who advanced from the first camp spent the weekend showcasing their skills and making a case for why they should be on Team USA. In addition to tryouts, this was a great weekend for the promotion of our sport! Fox29 in Philadelphia did a 3 minute live segment about ringette with some of our players and prospects, and local hockey players packed the rink to watch our ladies do what they do best. Finally, to finish off the camp, Team USA Prospects had an open skate with the public teaching them basic ringette skills and rules, and even playing in a fun game. Pictures from the weekend will be uploaded to the website and Facebook page in the coming weeks. Check back to see the action from our final camp! 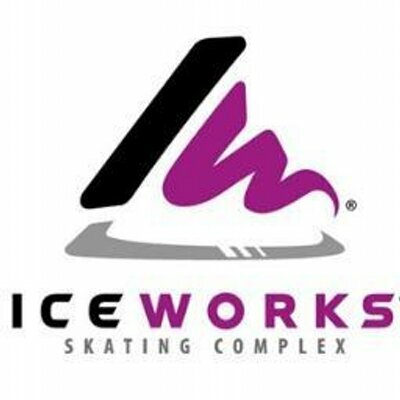 Big thank you to Aston IceWorks for their support and making this final camp a reality.